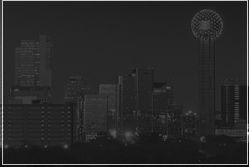 Are you considering hiring a van service in Dallas? Choose DWF Van Service from the house of SelectDFW and let us tell you why. DWF Van Service is the most convenient mode of travel in Dallas when a number of passengers need to be chauffeured and also when a load of luggage needs to be taken from one place to another. The vans we maintain at Dallas Van Transportation are always kept clean both from the outside and inside to ensure that you feel comfortable when you travel with us. Your chauffeur will be happy to assist you with your luggage or any other needs. Additionally, our vehicles also undergo quality checks and maintenance services to guarantee the safety of those travelling with DWF Van Service. We understand that many a times, you might need to carry a large quantity of luggage with you, especially when you are travelling to the airport. Therefore, we offer you our spacious and luxurious vans from Dallas Airport Transportation to make travelling to and from the airport convenient for you and for those travelling with you. DWF Van Service believes in reasonable prices. We do not want to profit from your vulnerability; in fact, we want to keep you happy when you travel with us.